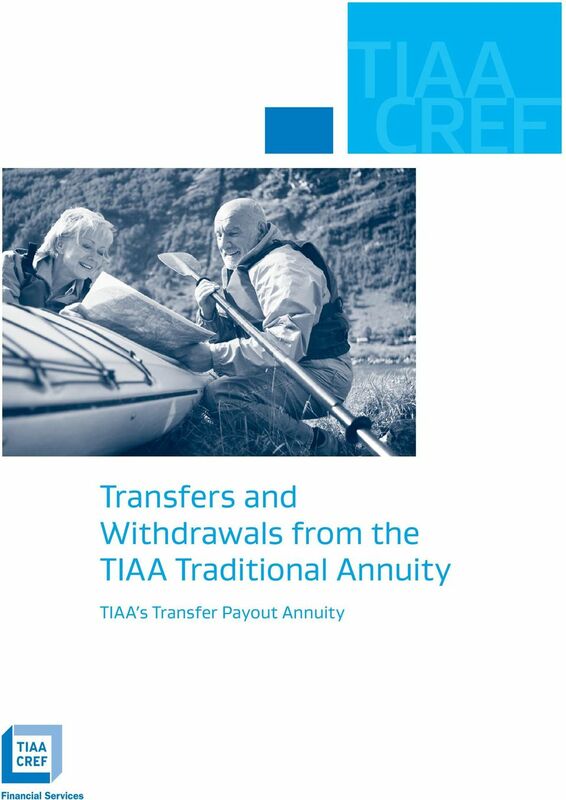 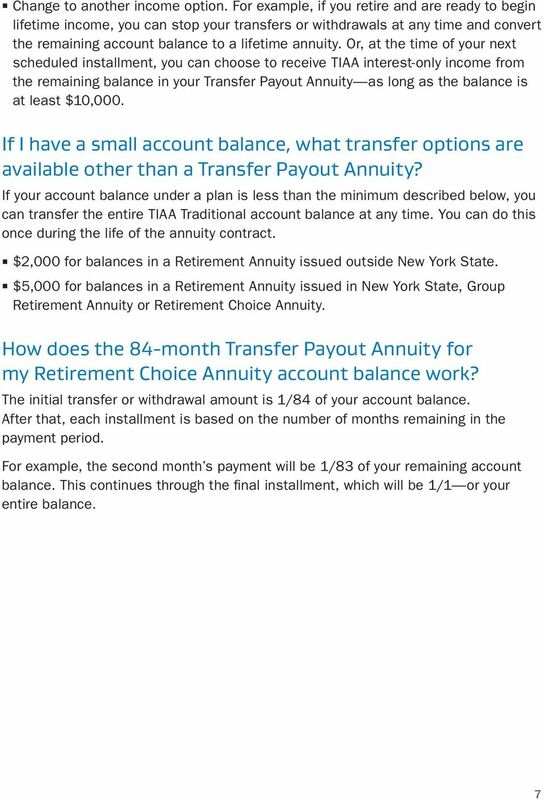 Download "Transfers and Withdrawals from the Tiaa Traditional annuity"
11 Take the next step. 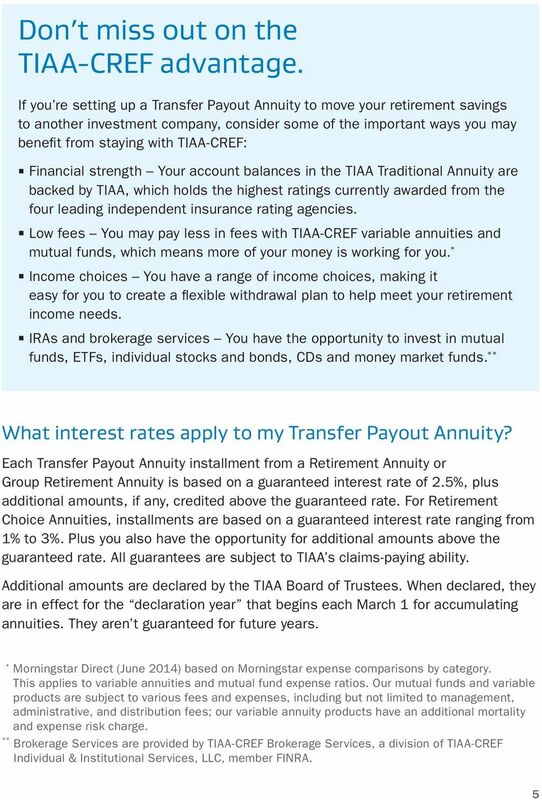 Contact us today for more information, advice or help setting up your Transfer Payout Annuity.  It s easy to reach us. 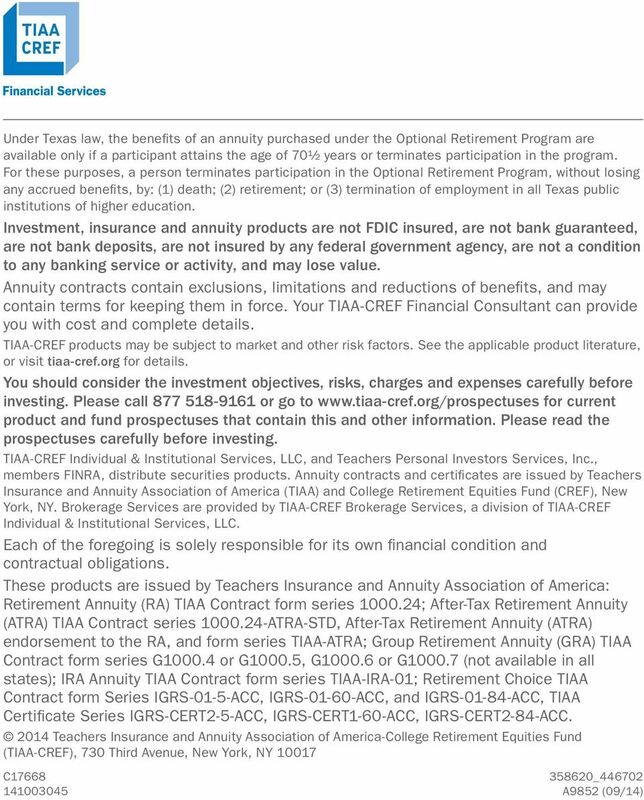 Call us at Monday to Friday, 8 a.m. to 10 p.m. (ET), and Saturday, 9 a.m. to 6 p.m. (ET). 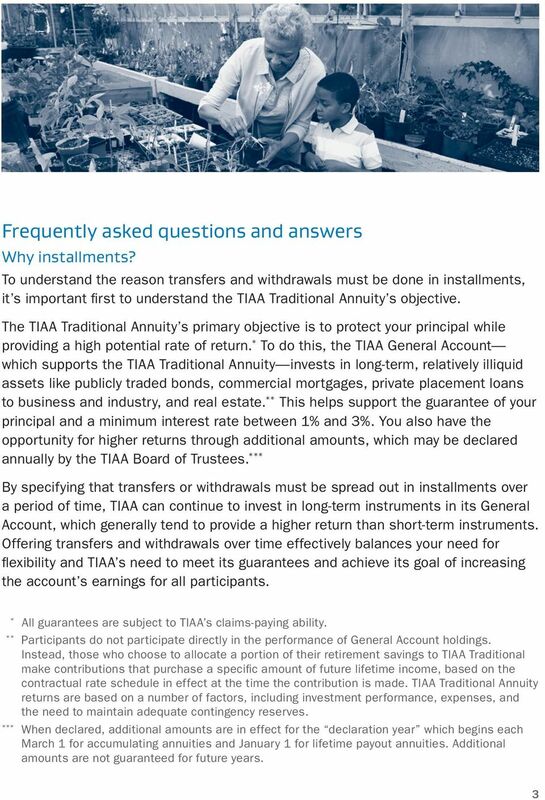 Our consultants can answer your questions as well as create illustrations of the transfer and withdrawal options available to you. 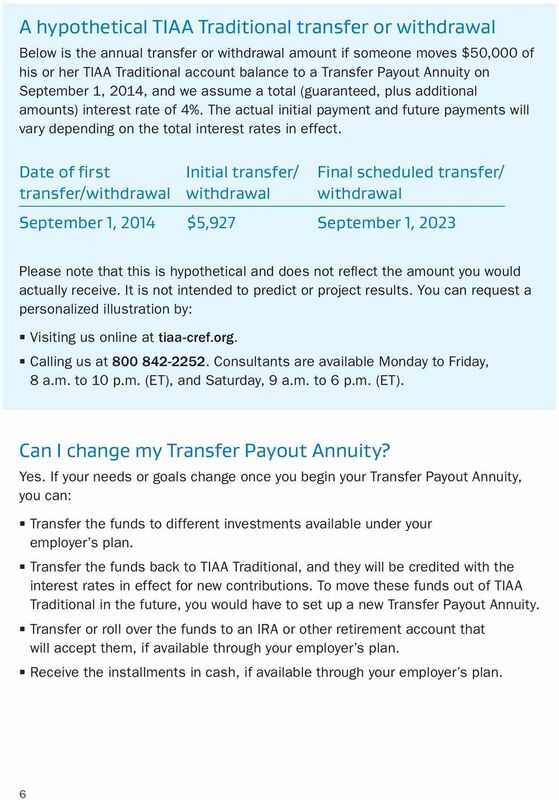 Visit us online at tiaa-cref.org to create illustrations of your income and explore the many ways we can serve your financial needs. 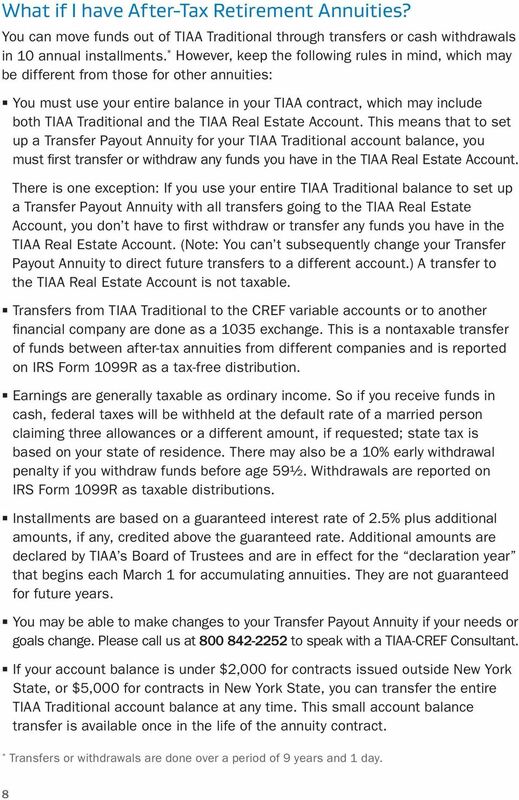 To send us an , click Contact Us at the top of the home page. 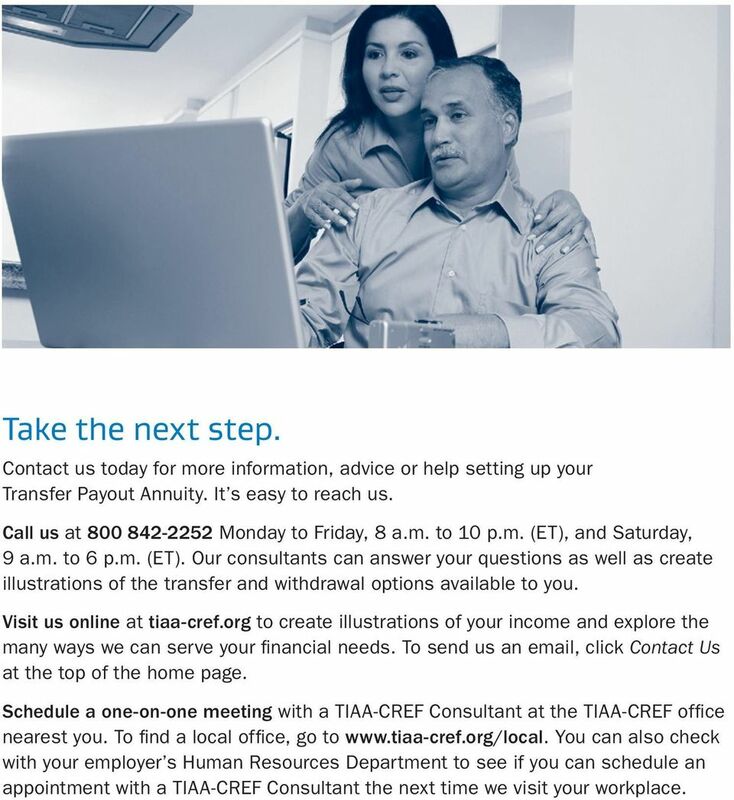 Schedule a one-on-one meeting with a TIAA-CREF Consultant at the TIAA-CREF office nearest you. 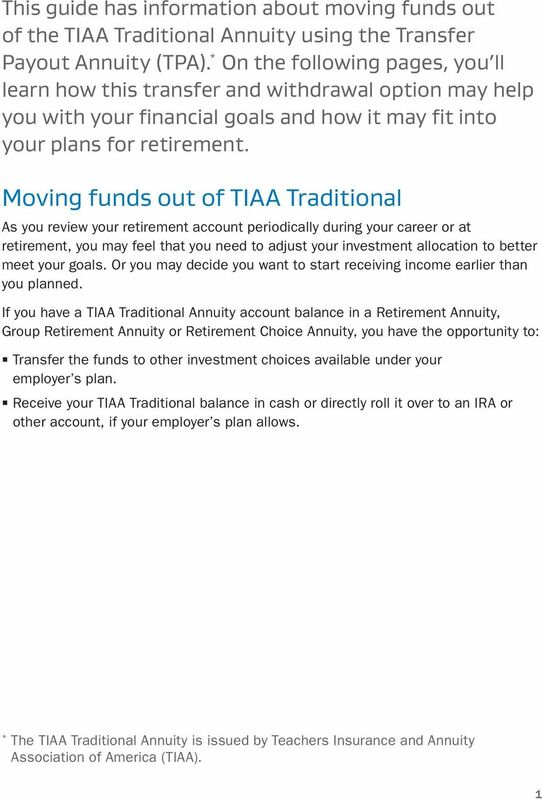 To find a local office, go to You can also check with your employer s Human Resources Department to see if you can schedule an appointment with a TIAA-CREF Consultant the next time we visit your workplace. 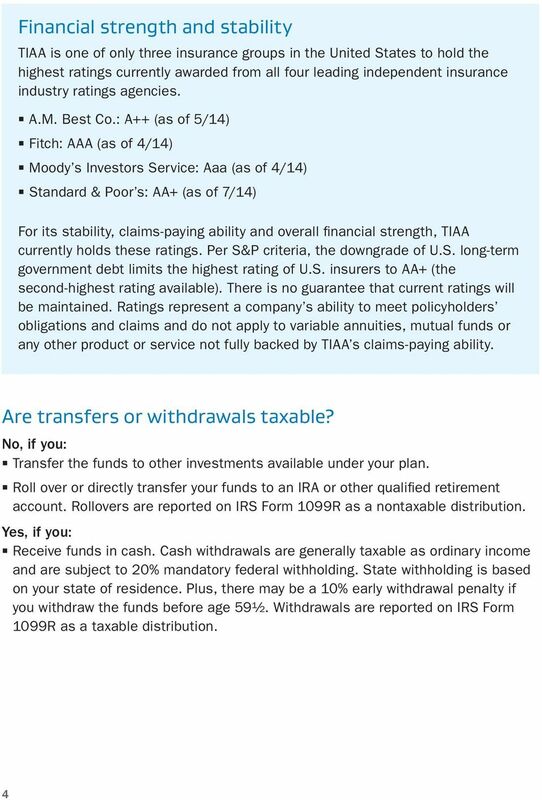 Considering IRA Rollovers. 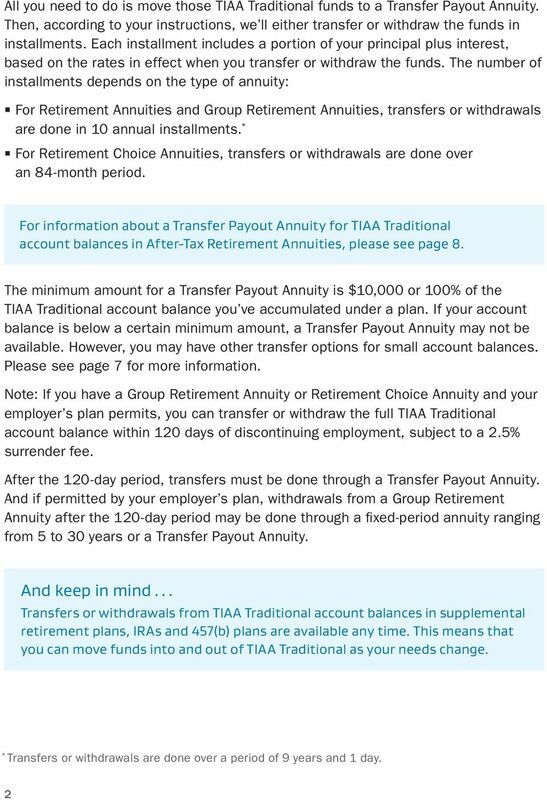 Making the right distribution decision now can make a big difference down the road.